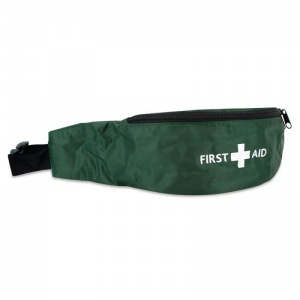 The Bum Bag First Aid Kit allows for ultimate convenience with contents appropriate to many situations, but is particularly suitable for outdoor walking trips or climbing. Lightweight in design, it fits comfortably around the waist and is not cumbersome; often you may even forget it's there! This kit provides you with immediate access to first aid supplies as and when they are needed. What First Aid Materials Are Contained in the Bag? This kit is perfect for those who are always on the move, from retail or playground staff to hikers and campers. It is the perfect mobility kit that is comfortable to wear and won't get in your way, while also providing protection for your materials in all sorts of weather conditions. The HSE approved materials in this kit are stored in a Riga bum bag, with a zip for easy opening and a comfortable, non-restrictive belt. The bag is compact and discreet, not being too visible in public places, which makes this kit ideal for the person who is always on their feet. 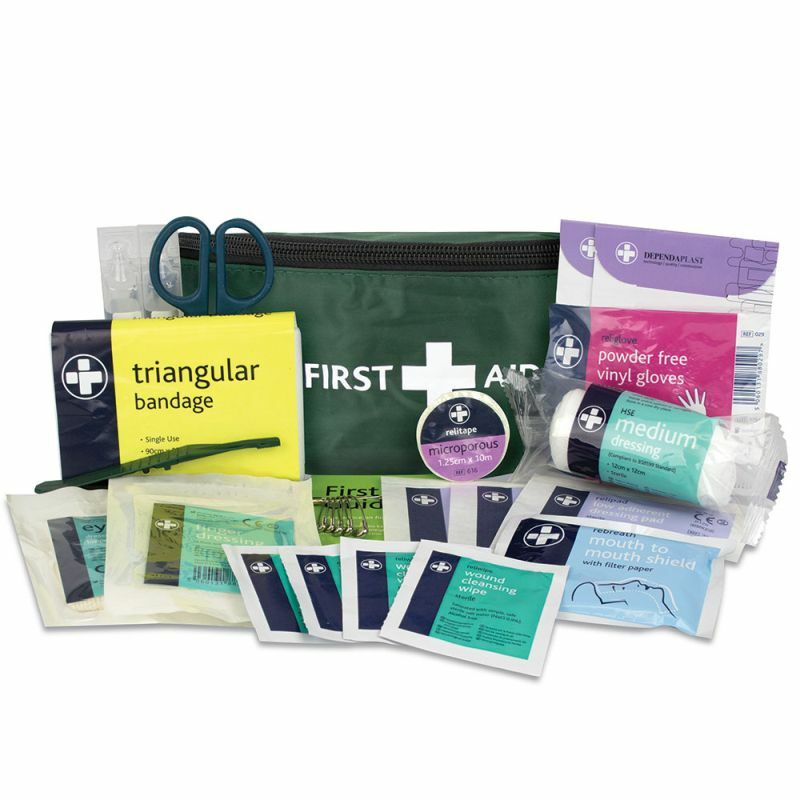 The Bum Bag First Aid Kit is usually dispatched via First Class Royal Mail and delivery should be within 1 to 3 working days.